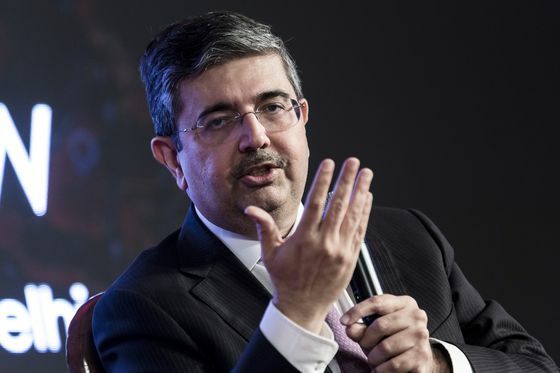 (Bloomberg) -- Uday Kotak, India’s billionaire banker, has questioned the country’s finance minister about the future of an opaque political financing tool days after the main opposition party pledged to scrap the controversial instrument if it came to power. Introduced by Prime Minister Narendra Modi last year, anyone can buy an electoral bond at the government-owned State Bank of India in denominations ranging from 1,000 rupees to 10 million rupees ($14 to $140,000). Afterward they are delivered to a political party, which can exchange them for cash. They don’t carry the name of the donor and are exempt from tax. Questions about electoral bonds have increased after the election watchdog last week told the Supreme Court that anonymous donations have serious repercussions on the transparency of political funding. Critics say they help legalize large anonymous donations that can potentially lead to businesses and foreign companies gaining influence over the elections that start on April 11. He added that the only non-transparent part of the deal is which political party receives the money and, if this disclosure is insisted upon, donors would return to the anonymity of cash rather than use a bank instrument like the electoral bond. Critics, including the Association for Democratic Reforms that petitioned the court, allege it’s this very detail that allows the ruling party to corner the bulk of donations. That’s because the government is privy to details of the donors given the bond is sold through a state-run bank. The next court hearing is scheduled for April 6. “We will scrap the opaque electoral bond scheme that was designed to favor the ruling party,” the main opposition Congress party said in its manifesto published April 2. About 17.2 billion rupees ($250 million) of electoral bonds were sold between January to March of this year, up 62 percent from the whole of 2018, news website Scroll.in reported, citing a response under India’s Right to Information Act. Modi’s ruling party received 95 percent of all electoral bonds last year, according to calculations based on previous disclosures.